Through a long-standing partnership with Loudoun County Public Schools (LCPS), the university is proud to exhibit local student artwork. 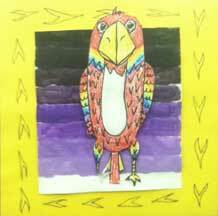 The exhibit featuring artwork from Balls Bluff and Francis Hazel Reid Elementary Schools will open on Feb. 21. E-mail or call 703-726-3650 for more information. GALLERY VISITATION: Open to the public (Hours: Monday-Friday, 7:30 a.m. - 9:30 p.m.; Saturday 8 a.m. - 4 p.m.). Please call building security at 703-726-8368 to confirm access for planned visit.